Oregon Offshore 2019: CYC Hospitality Crew....Working Hard! 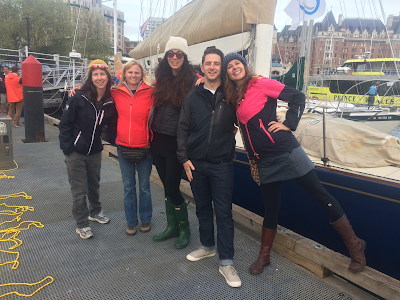 Behind the scenes, it takes a lot of great volunteers to pull off the CYC Oregon Offshore each year. Pictured here, the CYC Hospitality Crew poses for a quick team picture at the docks in Victoria. The volunteers do everything! Photos, transportation, boat welcoming, recording race times, logistics, starts, finishes, etc., etc. Thank you to ALL of the dedicated volunteers and CYC folks who made this year's race possible!